In an attempt at de-cluttering recently, I gladly stumbled upon these loyal characters from my childhood. As I reached inside the box, a huge sense of familiarity rushed over me. When I dug a little deeper I felt a thick red woolen scarf, which could only have ever belonged to Orinoco of course. Great Uncle Bulgaria was always the one I took the most care of, as he was so much older than the others, and far wiser and mature, everybody would look to him for advice, for he had all the knowledge. I always dreamed of having hair just like Alderney’s, and a striped tee to match. She was very much my favourite, I guess I wanted to be just like her. I think The Wombles where way ahead of their time, what with their kind-hearted ways and recycling ethos. If only we lived amongst such lovely creatures today! 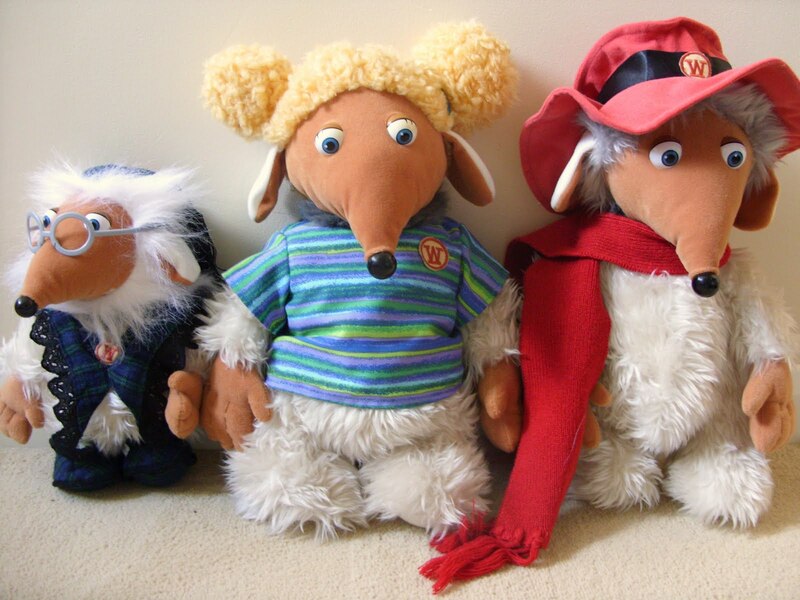 I fully hold The Wombles responsible for influencing my bargain hunting and thrift- like ways. Even though ironically it defeats the object of de-cluttering, I just can’t find it in my heart to part with these guys. Re-member-member-member what a womble womble womble you are! I'd keep them. Awwh! I used to have all of these! I also had the one on the right as a water bottle :'). Aww they are adorable! I can totally see why you can't give them up!